After revealing the posters of the principal cast last week, Universal Pictures and Legendary Pictures have now launched the character one-sheets of The Great Wall's supporting cast, including two Chinese pop sensations starring in the fantasy-adventure. 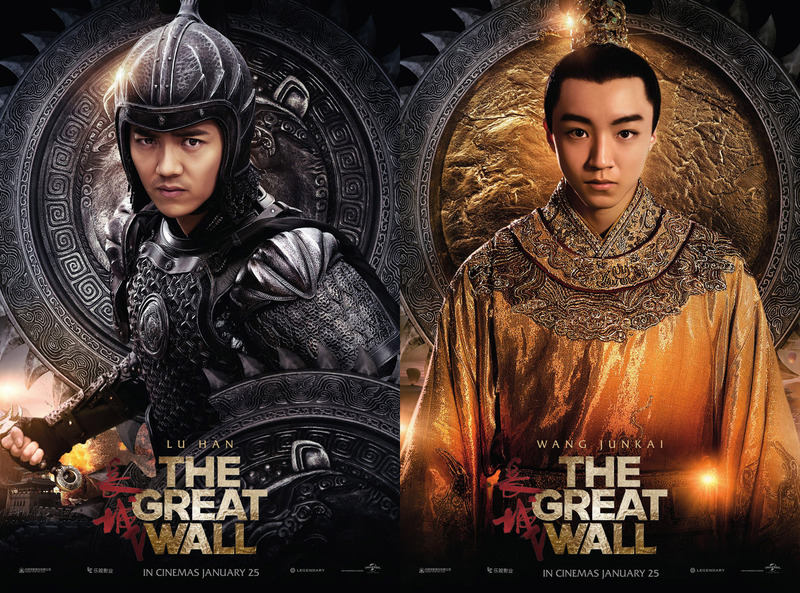 Check out the new posters below and watch The Great Wall in Philippine cinemas on January 25, 2016. 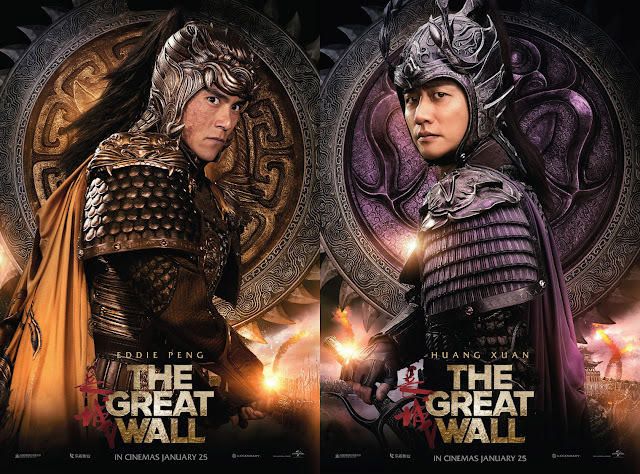 Directed by master Chinese filmmaker Zhang Yimou, The Great Wall stars Matt Damon as William Garin, a battle-scarred mercenary and master archer taken captive by a secret army of elite warriors known as The Nameless Order. 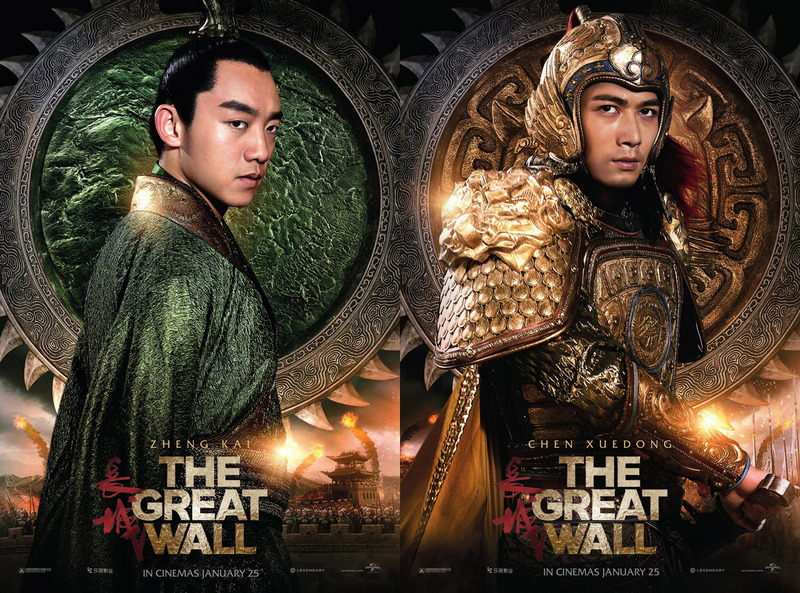 In a vast military outpost called the Fortress City, they fight to protect humanity from supernatural forces upon one of the greatest defensive structures ever built: The Great Wall. The film features a supporting cast of seasoned Chinese talent that includes veteran actor HANYU ZHANG (Assembly, The Taking of Tiger Mountain) as General Shao, the patriarch who passes his command of the fortress’ troops; LIN GENGXIN (The Taking of Tiger Mountain) as Commander Chen, the leader of the Eagle Corps, the crossbow marksmen who skillfully brandish the weapon with deadly accuracy; EDDIE PENG YU-YEN (Jump Ashin!, Rise of the Legend) as Commander Wu, who leads the Tiger Corps, the fortress’ engineering and artillery forces, against the supernatural enemy; XUAN HUANG (Breaking the Waves, The Golden Era) as Commander Deng, leader of the fortress’ cavalry, the Deer Corps; ZHENG KAI (China’s TV hit Running Man) as Shen, Strategist Wang’s imperial liaison whose political agenda conflicts with The Nameless Order’s mission; and CHEN XUEDONG (the Tiny Times 1.0 trilogy) as one of the fortress’ Imperial Guards who will readily sacrifice himself to save the empire’s royalty. The Great Wall also welcomes to its cast a pair of China’s pop-music sensations—LU HAN (the band EXO) as Peng Yong, a soldier struggling under the command of the Bear Corps’ General Shao who must overcome his fear and prove himself heroic during the creature onslaught; and JUNKAI WANG (frontman for China’s TFBOYS), who makes his professional acting debut as The Emperor, the 17-year-old royal ruler tested before his time. 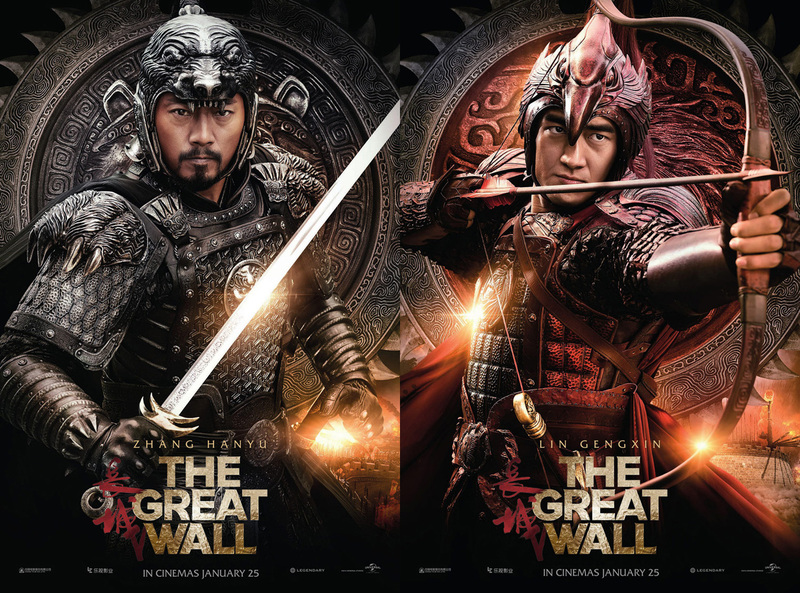 The film also stars Pedro Pascal, Willem Dafoe, Andy Lau and Jing Tian. “The Great Wall is distributed by United International Pictures through Columbia Pictures.